AMC cub. What's it worth. I have been offered a Cub, built around 15 to 20 years ago and in the last few years supposedly nut and bolt restored by a professional company. It's on an age related plate not a Q. So, presuming it's immaculate and done correctly what value would you put on it? Serious answers please, I know it's a kit etc etc. Re: AMC cub. What's it worth. Hi, very hard to value, nowhere near Moke values! even though as much fun. I drew £5400 for mine approx. 3 years ago, fully rebuilt, painted, newly upholstered, hood complete but not brilliant, I classed it overall as good to very good. I was happy with that as I had given £2500 12 months previous and put around £600 into it, Mick. Might have looked better if they had put the windscreen on the right way round, also the side pod outer covers look odd? Seems to have an odd side pod cover on the inner plate? As I said Chris, work was needed, but it is a Moke. Yeah!.....what they've done is plated over the rotten sides with a couple of sheets of flat plate, then to allow access to the battery they've cut a piece of inner hull out and then to finish the job properly bolted it back on upside down. Thankfully the club representative has already warned me of the pitfalls with this and similar cars. HI Andy, at £7k you could build a brand new Cub for that money, have you checked their site? Andersen Cub, Mick. No I have not. However I'm familiar with it. Time to toss a coin. 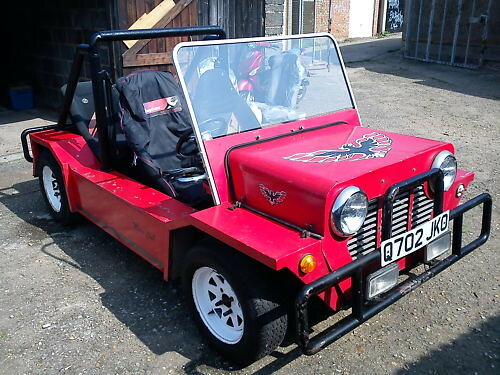 Hi Andy, the Cub is a lot easier to work on than the Moke and it does have some good build ideas and a lot more room inside the cabin for decent size seats, but will it ever appreciate in value like a Moke? I doubt it, I'd save up a bit longer and find a Moke, you know it makes sense, Mick. Being a Cub owner - mines a 1986model (slight differences throughout the production run). I bought it for £2k and probably have another 2-3k in it. I think they are a great alternative. 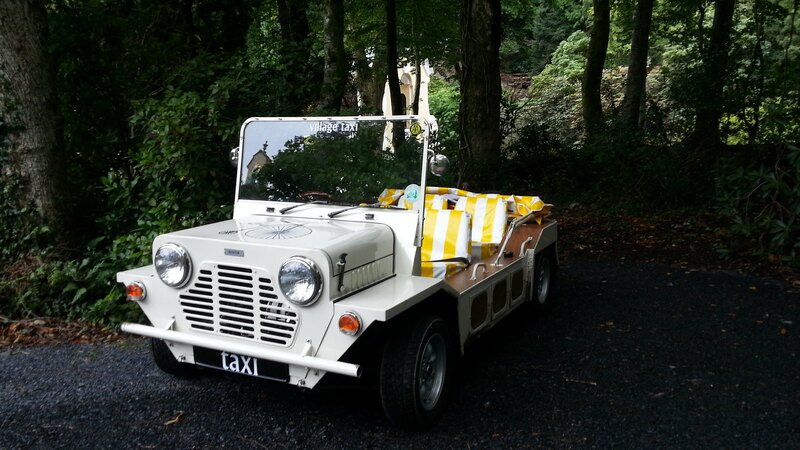 Ok it's not a Moke I accept that and yes I have the skills to rebuild an original if one ever came along. But even if I found one at £7k i'd need to budget for all the panels even with my labour being free its still an expense once everything is factored in. I accept that with a higher budget you could get a reasonable one while not mint would be serviceable and useable and would appreciate in value. 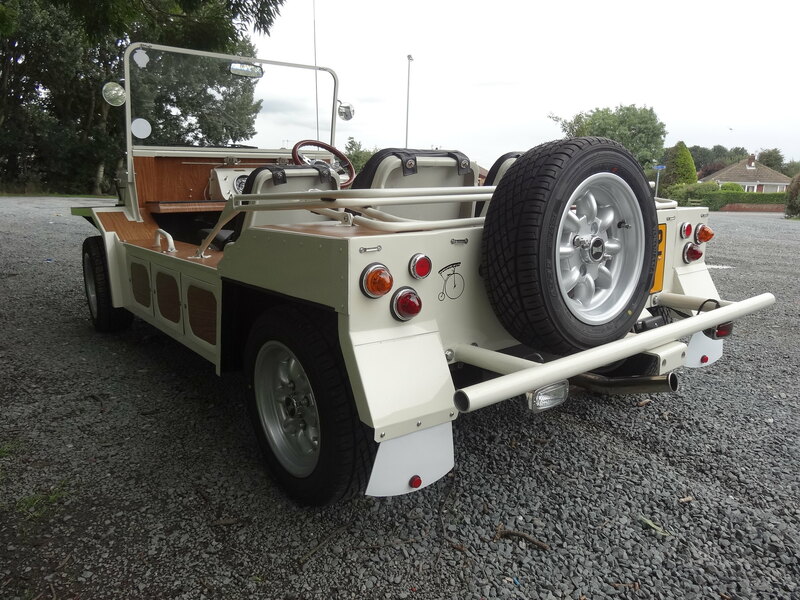 When i looked into getting a Moke 3 years ago I bid on a few resto projects but it seemed whatever I bid there was always someone wanting to bid more - and the classifieds were snapped up for the reasonable ones and the rest had issues either with ID or dodgy rebuilds or was simply out of my budget. I contacted Charles at AMC with the view of buying a kit - at that time he wanted £10k for a 'turn the key' model and was simply not viable, cant remember the price for one to do yourself think it was around 1/2 that. Galvanized panels, zero rot and with a bit if ingenuity i'm pleased with the results. In time I may fit a Moke front panel/bonnet and wings or I did look at a new bodyshell but for now and for how much I use it -it's perfect for what I want. I've done over 400 troublefree miles, it's quick/fun and the shell is very well built. Looking great now, Will we be seeing you in Norfolk at the end of next month? There are quite a few of the Moker's who either trailer or A frame their Mokes to events, usually behind a camper van, so you wouldn't be on your own!